Chinese Australian Artists Donate $250,000 worth of Artwork for Victoria, Australia Bushfire Appeal – Auctioned in Beijing! The Sydney Olympic Park Authority was proud to present ‘Coming Home’ the largest exhibition of Chinese Australian contemporary art ever to be held in the People’s Republic of China. Following on from 2008’s successful ‘From Mao to Now’ exhibition, this project was part of a broader program of cultural exchange between host cities of the Olympic Games initiated by Sydney Olympic Park. 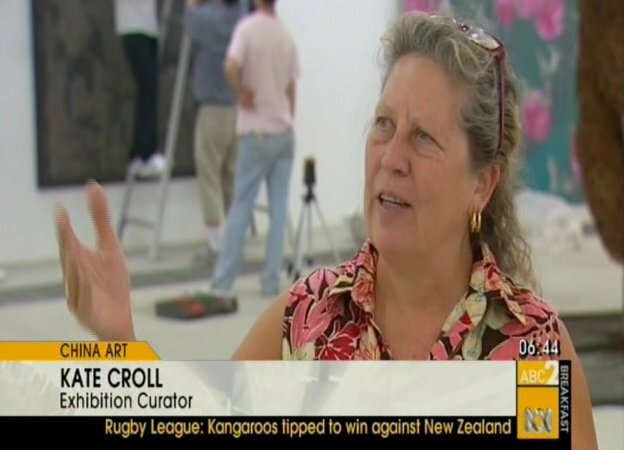 Managed and curated by Catherine Croll, Coming Home was open at the new Linda Gallery, 798 Beijing during May 2009. “Coming Home provides an excellent example of the mutual influences of Australian and Chinese cultures on artists from both countries, and provides a valuable opportunity for dialogue and exchange between Chinese and Australian artists. It also promotes understanding of the diversity and innovation of Australian contemporary culture in China” Dr Geoff Raby. A feature about the exhibition was shown on ABC TV in Australia on Friday, May 8. Haven’t heard from you for sometime. I am glad you make this happened. Linda Gallery looks so nice and bright with large spaces. Is that the one we coulen’t get in to have a look? I believe it is a great place to have your exhibition on. We keep in touch.